This is the ninth Naruro game that I have reviewed. I’ve done five on the DS, one on the PS3, and this will be my third for the PSP. Counting the games I have but didn’t review, I’ve probably played around a dozen different Naruto games in the past two and a half years. That’s just getting nuts. You might think that I would have gotten tired of Naruto and company. You might think that I would start to feel some resentment towards the series. After all, most of these reviews haven’t been the most positive. I gave my highest score to a DS Naruto title to Shinobi Rumble earlier this year, and that was only a score of “Mediocre”Â. The truth is that I still care about the franchise. I still manage to enjoy myself with the games. Don’t ask me why. Apart from few of them, they’re not very good. Heck, some of them are downright bad. But still, somehow, when I heard that Kizuna Drive was headed my way, I was happy. I only mention this so that when you read this review, and you see what I say, that you won’t get the impression that I’m being too harsh on the game. I don’t want anyone thinking that someone with fresh eyes could see this game as anything but what it is. Truly, this is one of the worst Naruto games I’ve played yet. The fact that this game contains a filler storyline isn’t necessarily a bad sign. It isn’t like rehashing the plot of the anime always works out. In fact, that rehashing is something that other games are often criticized for. 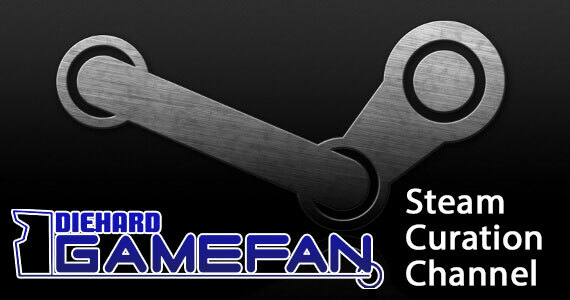 Who wants to keep playing the same story over and over again? (Apart from Nintendo fans of course.) So, I was skeptical, but hopeful. Turns out, my instincts were right. 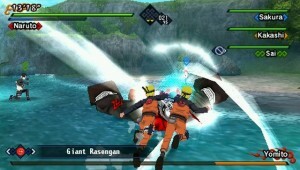 The game starts off with what appears to be Naruto willingly transforming into a demon fox and wrecking the Hidden Dream Village. What’s that you say? Hidden Dream Village? Well you see, in this game, the Hidden Dream Village is a ninja village that is allied with Naruto’s hometown, the Hidden Leaf Village. These guys aren’t really one of the major powerhouses, but they keep would be attackers at bay because they have the ability to awaken a guardian beast known as the Three Heads. It is said that natural disasters follow whenever this beast cries, and if all three heads ever go off, then the world will end. In other words, don’t mess with the tiny village that has a nuke under its control. Anyway, the story follows Naruto and company as they deal with retaliatory attacks by the Dream Village on the Leaf. Naruto is targeted again and again, villagers are kidnapped, and everyone is trying to figure out what is going on and who is manipulating this mess. It honestly had the chance to be entertaining, but the big moments just rehash the same conversations that we’ve heard repeatedly throughout the anime. Friendship is important. A true friend fights to protect his bonds. Naruto got picked on as a kid and is now accepted. Even the anime has pretty much given up on repeating this stuff anymore. We didn’t need the rehash. On top of that, some of the stuff here is flat out silly. The symbol for the Dream Village is a bunch of Zs. Really? They couldn’t come up with anything better than that? Sasuke and Hebi are thrown into the game completely at random. There is no need for them to be in the story. It would have been cool with everyone had they just been playable characters for free missions. We don’t need filler for a plot that is filler itself! Finally, the game’s cut scene presentation is ridiculous. Rather than full animation, the characters are presented as stills on a living background. Occasionally, there is movement by this characters, but it looks like they’re hopping around like bunnies when all they’re supposed to be doing is walking. This will just make you laugh, even when the game is being one hundred percent serous. Beyond the story mode, you can also tackle free missions either by yourself or with up to three other players. I didn’t get to try the multiplayer myself. No one was playing it on Ad-Hoc party. I must have spent a couple of hours waiting in the lobby, hoping someone would join my game. Only one person seemed interested, but his memory stick was being lent out to a friend. Or so he says. I think he was messing with me. Anyways, these free missions have different objectives, ranks, and the ability to chose any unlocked character. They will be where you go when you need to grind for scrolls and where you’ll end up once you’ve beaten the story. As such, they are the main attraction of the game. Overall, the story is lackluster at best, and there’s only one other mode of play in the game. 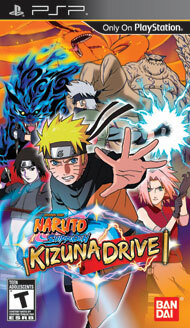 When you look at Akatsuki Legends, the only comparable Naruto game on the PSP, it had a lot more things for you to do, including bonus story modes, and a free battle mode. This game just can’t compete. The biggest thing going against this game, in terms of graphics, are the textures. From character models to backgrounds, these are pretty low rent. Several enemies look like they’d be more at home in a Lego game rather than a game with ninjas and death. Background environments never impress and often look flat out bad. There is some good. The ninjas you play as tend to look halfway decent at least. The animations aren’t many, but they link together well enough. The big bosses you come across are easily the visual highlight. Then again, you don’t get too many points for making the big things look good unless they’ll full of detail. These are large, mono-colored beasts that uses two or three attacks. They’re hardly complex. 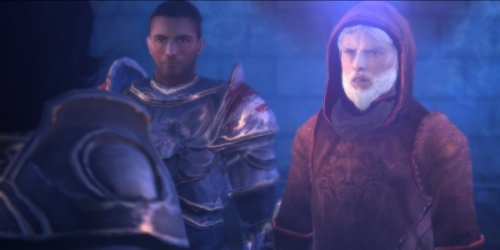 I brought up the cutscenes in the previous section. They’re largely a visual affair, so I’ll bring them back up here. Using stills to tell a story is fine. Anyone who’s played a JRPG is used to it by now. The decision was made here to add some movement, creating a look similar to a pop up book. That’s not in the good sense either. When characters move, it looks ridiculous. When objects move either via wind or some other machination, you just wonder why they didn’t bother with full fledged animation. It would have been superior to this. At the very least, they could have just left us with the typical stuff we’re used to, and left out the unintentionally hilarious alternative. The effects are all right I suppose, but hardly an example of what the PSP is capable of. I’ve seen better in other Naruto games, but most of those were done by a different developer, so I’m not surprised by the decrease in quality. There’s an overall lack of complexity and polish, making the game seem like a PSP game from four or five years ago rather than one of the last exclusives for the system. Included on the UMD are both the English and Japanese voice actors. Fans can chose their preference, but really, why would you want to go with the English cast? They can’t pronounce various words correctly, and most of them phone it in. I’ve never cared for Naruto’s English voice in particular, as there was no change from younger Naruto to his older iteration. Anyways, the voice acting is pretty much as good as you’d expect. The problem here is that repetition is king. You’ll here the same three or four voice clips repeatedly. No matter what language you go with, this is annoying. They tried to alleviate this by switching up what characters say certain things, but it doesn’t help. Everyone says, “The enemy is stunned. Now is our chance!”Â I don’t care if it is a female or slightly lower male voice saying it this time. I’ve heard that phrase twenty times in the last hour. I’m done with it. The music is the typical fluff we get with Naruto games. It isn’t bad by any means. In fact, several of the tunes are quite pleasant. However, they don’t always fit the situation. Soothing tunes do not befit levels where you’re fighting some dude who’s just transformed into a giant beetle of doom. I want something a bit more epic please. There’s a distinctive Japanese flare to the proceedings, but none of the music from the show. I wish these guys would find a way to get that license. We fans would appreciate it. The rest of the audio package isn’t anything to write home about. Some of the effects continuously come off as tinny. The jumping noise gets old very fast. Heck, even the best stuff is merely mediocre. It is clear this is one of the areas of the game where the least amount of attention was paid. I’ve much worse, but that doesn’t mean I don’t deserve to hear better. The most obvious comparable game to this would be 2009’s Naruto Shippuden: Legends: Akatsuki Rising. Fans of that game may rejoice in the fact that Kizuna Drive has an adjustable camera. However, fans of that game will also despair in just about everything else the game does. Let’s start with the basics. This is a pretty straightforward brawler, albeit with a four player hook. You move using the analog nub, attack with the circle buttons, dodge with the x button, and perform special attacks with the triangle button. The square button does two things. Firstly, a simple tap with call in an assist attack from one of your AI partners, unless you’re playing with three other people. In that case, a simple press does nothing. If you hold it down, you’ll charge your chakra, which you’ll need to perform special moves. Combat is pretty basic, but extremely limited. You have one basic melee combo that you can perform. These change depending on what character you can use, changing both range and length. Sakura’s combo lasts all of two attacks. You can interject these combos with a special move, giving you what little variety the game will offer. 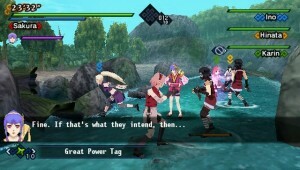 For example, one press of the circle button followed by the triangle button will lead Naruto to punch and then use a rasengan. 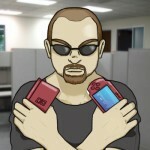 If you hold out for two presses of the square button, he’ll chain into a shadow clone attack. This might seem pretty nifty, but the longer chains are useless against bosses and some enemies. You’ll rely on the cheap combos before long. Also, using them gets old real quick. The X button is reserved for dodging but most of the big attacks are too well ranged, meaning they don’t do much. However, if you time it right, you can respond to an enemy hit by tapping the button and performing a substitution jutsu. This lowers the damage you take, and allows you to teleport a distance away. My two biggest complaints when it comes to the basic setup are chakra charging and the lack of a lock on system. In order to recharge your chakra, which you need for basic combos and substitution jutsus, you need to hold down the square button. The problem stems from the fact that your character will stop to do this, and can’t stop until the meter is filled. I do not get that at all. Why can’t I can’t I stop charging when I see an enemy attack headed my way? Why do I have to sit there and take it? It is just stupid. The game’s excuse is that you have to be careful about where and when you do this, but this is just a flimsy excuse for lazy game design. As for locking on, you can’t do it. As a result, you’ll whiff on a fairly large percentage of your attacks. You’ll time that last ditch move carefully, only to watch it miss by an inch. I couldn’t stand it. One of the most important game mechanics is Kizuna Points. You earn these every time an ally lands an assist attack, any time you perform a Kizuna finisher, and anytime someone heals an ally. These points do two things. Firstly, you earn bonus depending on what how many you have at the end of the level. Also, you need to have at least twenty-five of them to revive a fallen ally. While playing single player, an ally will revive you should you fall. However, there are several instances in the main campaign where Naruto will be off by himself. This makes it impossible to earn Kizuna Points. Then, you’ll get stuck in a boss fight where you’ll need those points. Too bad. It drives me nuts when in a game built from the ground up to have multiple players, that they would stick you by yourself and expect the game mechanics to translate. There is some minor ability to customize characters. After each level, you’ll earn scrolls. Each character can have up to three scrolls equipped to them. These do basic things like increase stats, but also offer the ability to null negative statuses such as poison. That’s good, because these negative statuses are more abusive than in any other game I’ve played. Confusion feels like it lasts forever. The problem there is that you WILL have to grind for these scrolls in order to get them. Characters don’t level, so the only way to get stronger is through scrolls. Only being able to equip three of them, you’ll often have to gimp your characters in order to make sure you don’t get boned by status effects. You can also edit the jutsus and tools that each character can use. This is very limited. Characters are typecast into what tools they can use, meaning healers are at a premium. Also, each character only gets one or two jutsu attacks, and these can’t be upgraded. This led to me spamming my most powerful attack on a low level grunt and watching in horror as it barely chipped away at his health. The most damning aspect of the game is the ally AI. Dear God, I hate the AI. First of all, they usually just stand around and do nothing. If you call them in for an assist, you have a good chance that they’ll attack the air twenty feet away from the enemy you need them to hit. They do next to no damage. They won’t stand still when you’re trying to heal them. They can’t revive each other. At one point all of them ran in place at the edge of a cliff while the enemy beat them senseless. Healers will run right into an enemy attack when they’re trying to heal you. Heck, half of the time, they won’t even try to heal you, even as you’re standing next to them begging them to do so. I could probably fill a book with the inane things the AI does. Suffice it to say that this is some of the worst partner AI in any game I’ve ever played. This makes the fact that I couldn’t find anyone else to play with even that more frustrating. Overall, the gameplay is downright pathetic. There was no single aspect of the game that I found any good, or even marginally satisfactory. This is, bar none, the worst Naruto game I’ve played. There are well over a dozen missions in story mode, and they’ll take differing amounts of time to complete. Add in the incessant grinding you’ll need to do in order to obtain new scrolls, and you’re looking at somewhere around a fifteen hour single player experience. If you plant to beat all of the free missions, you can tack on several more hours. A dedicated player could probably get thirty hours out of it before ever hitting up the multiplayer scene. As far as actually replaying these modes, that’s not really a good idea. The story mode is, as you may have guessed, extremely frustrating at points and isn’t worth the effort. Replaying free missions is only worth it if you really want to grind for more scrolls. I wouldn’t recommend it. Where you’re likely to get something extra out of this game is the multiplayer. However, that’s only if you can find people to play with. I couldn’t, and for that I’m disappointed. 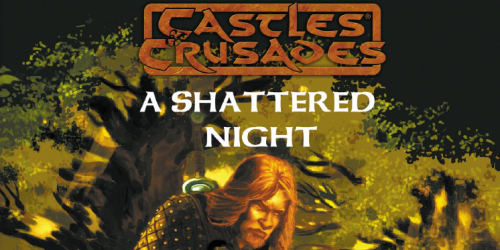 If you read this review and for some reason get the game/already have it and want to play over ad-hoc party, e-mail me. I really want to try this out. 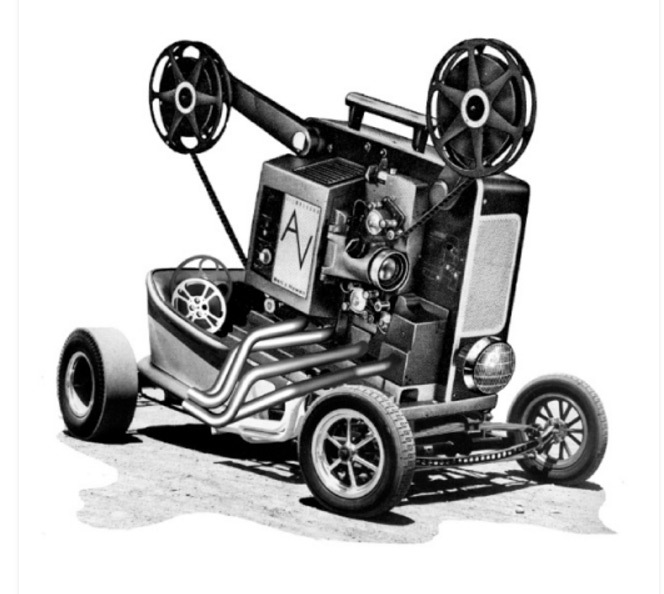 In the replay department, the game isn’t too bad. The one sort of negative thing I can say against it is that it does nothing to improve upon the lasting value of other PSP Naruto games. I’ve gotten similar amounts of play time on every one that I’ve played. This game has some serious Monster Hunter envy, and for good reason. Those games have been selling gangbusters in Japan, leading to a renaissance of sorts for PSP users. Did you know that in Japan, there are actually groups of four people who get together to play games over ad-hoc? That kind of thing is commonplace over there! Here in the U.S., I only know a handful of people who even own a PSP, and even less that would ever think of buying games for it at this point. Anyways, what does this have to do with the game’s balance? You see, the game is built from the ground up to incorporate four player co-op. As such, enemy health bars are gigantic. Attacks seemingly have no effect on any but the weakest of shinobi. This is all fine and well if you’re playing multiplayer. The extra HP will serve as an equalizer. However, when you’re by yourself with three AI allies, this gets downright annoying. The best example of the problem mentioned above is the boss fights. Fighting these bosses is like trying to carve a swan out of a block of ice using a needle. It is a time exhaustive effort. They give your half hour long time limits to complete each mission. One mission was nothing but a boss fight. It took me over twenty minutes to bring the beast down. My attacks did almost nothing, and the big lug could take me down in two or three hits. Mind you, this was after I had grinded for better scrolls. The reason was because the AI was so dumb that it let itself get wiped out. So, I had to pull the old tactic of circling left and striking during very small windows. This was bad enough, but the enemy would get progressively faster and stronger as the fight wore on, narrowing those windows and sucking up my time faster than Farmville for a middle aged housewife. This kind of slow down happened pretty much every boss fight, turning the whole game into a grind. Like I’ve said, this game was not designed for one player, yet they force you to play it by yourself. Stupid. Another huge problem are those status effects again. The evil three, as I like to call them, are poison, confusion, and numb. Poison drains your life at a rapid pace, lasts forever, and will likely get you killed because your AI healer won’t get to you in time. Confusion is really nasty though, especially in boss fights. If you get confused, the movement controls get reversed. On top of that, you can case friendly fire damage on allies. It lasts a while, and blares an annoying warning sound the entire time. If, god forbid, one of your allies gets confused, then all hell breaks loose. They’ll follow you around mercilessly and attack you at every opportunity. They aren’t slowed by the effect, so you can’t outrun them. This tactic is yet another reason that boss fights tend to take forever. Finally, there’s numb. This is a basic paralysis effect that is only so awful because, again, it lasts quite awhile. Enemies can and will take this time to blast you with their best combos, more than likely killing you every time. One could point out, quite rightly, that these effects could be avoided by equipping certain scrolls. The problem here is that using these scrolls will leave you vastly underpowered, meaning you won’t want to equip them unless you need them. As such, you’ll often have to play levels more than once simply because you had the wrong scrolls attached. Speaking of scrolls, I played this game for hours upon hours, completed dozens of missions, and never once did I find a scroll that increased my base defense even the tiniest bit. I’m not even sure they exist. You see, you earn scrolls via a roulette. As the roulette spins, you can get an idea of what kinds of scrolls are available by watching a chart on the bottom of the screen which shows the status boost they’ll grant. I never saw one that raised the defense. I don’t understand this at all. Boosting defense would be a life saver. If you’re going to give players a stat, give them the ability to modify that stat. Don’t just leave it there, unimproved, to mock us. As I mentioned, this game has serious Monster Hunter envy. I would even go as far as to say the battles against the tailed beasts are pale imitations of fights from that series. As such, I can’t really find much originality in this game. Anything that wasn’t borrowed from the MH series finds roots in previous Naruto games. In all cases, those other games did what this game is trying to do better. For example, the scroll system in Akatsuki Legends allowed you equip a number of scrolls depending on your potential, the number of which was raised as you leveled up. On top of that, two scrolls could be combined to create a better scroll. What this game does is a drop in the water compared to that. 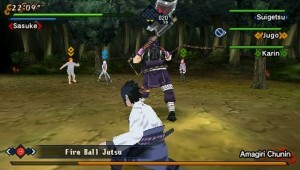 The only thing new to the Naruto series is the four player co-op. I do agree that the Naruto series is begging for that kind of mechanic. After all, ninja squads in the anime are made of four members. As such, this game doesn’t get a score of “worthless”Â for originality. I’ve played a ton of PSP games. This was one of the easiest to put down. I’ve described in length the myriad of problems this game has. Boss fights last forever, you have to grind for scrolls to be competitive, AI is a joke, the controls are poor at best, etc. I was really forcing myself to continue playing it, as I’m not the kind of person who’ll review a game he’s only played for an hour. You’re welcome. We Naruto fans are pretty much willing to pick up anything with the knuckle-headed ninja on it. Still, just about every option is better than this. Just on the PSP system, we have three quality fighters, and a halfway decent brawler. This game only has the ad-hoc mode to sell itself. I was suckered in, like I’m guessing many others will. However, now that the word is out, hopefully people will stay away, far far away. If you’re not a fan, I can’t imagine why you’d pick this game up. If you’re looking for good co-op games, grab something like Metal Gear, Monster Hunter, PSP, or any of the many other great ad-hoc games for the PSP. This game should be at the bottom of your list. I can’t really recommend this to anyone. There’s one mechanic that I forgot to mention in the gameplay section. I thought about going back and adding it, but I realized that my complaints/musings on it would fit here just as well. If you continuously beat on an opponent, there’s a good chance they’ll get stunned. If all party members are alive, you can initiate a team attack. This essentially pauses the action while everyone moves to a different screen to play hot potato with the stunned enemy. I’m not kidding. The dude will go flying through air towards one of the four participants, that person can send them in one of three directions. After each hit, the enemy flies faster, meaning reflexes are key. 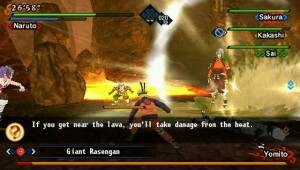 You can also end the attack with a big time jutsu that deals a hefty amount of damage. My big complaint is that this whole thing looks completely ridiculous. No one I’ve shown it too has been able to avoid laughing at it. I get that the developers wanted some sort of four player mechanic, but this was not the right way to go about things. On top of that, you can do these moves to bosses, and often, the damage they take will be a rather small portion. Really? Four very strong ninja using their best moves can’t take out one guy? What’s worse is that the ninja you face are even high ranked for the most part. You’re facing mid card level talent and you can’t take them down with your ultimate move! What the heck? These team attacks end up being representative of what is wrong with the game. It is a joke, a bad punchline, that is likely to send people into riots rather than join in the laughter. If we laugh, we laugh at it, not with it, and that’s this game’s legacy. This is easily the worst score I’ve ever given a Naruto game. Like I said in my intro, this isn’t because I’ve become disenchanted with the franchise or sick of Naruto games. I had fun with Shinobi Rumble, which also came out this year, and I still watch the show faithfully every week. This is, honestly, a bad game. There are sure to be some people who manage to find some good in it, and to them I say; “good for you”Â. Between tepid gameplay, poor controls, crappy AI, a stubborn mindset, and countless other problems, I just couldn’t give this game anything better than a score of “Bad”Â. If you’ll excuse me, I’m going to put this game away and probably never touch it again. THANK YOU! You understand my pain! I never got Akatsuki Rising game, but hearing how you say it’s better, I want to try it and never touch Kizuna Drive again. But for some reason, I keep coming back to it. Why am I going back to TORTURE?! Impact was much better! Oh I know your pain. Kizuna was one the most frustrating experiences of my video game life. So awful.